Sometimes it’s something fun and sometimes it’s something out of necessity. But a good experience with shopping and getting a great meal can make your day! 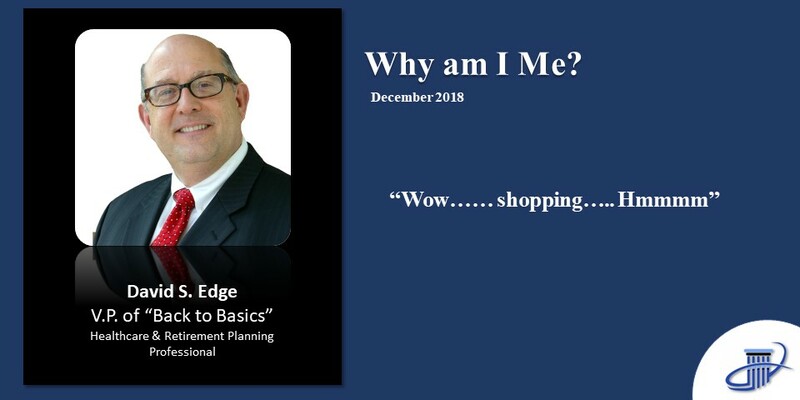 So how you approach these shopping tasks make you…. you! When was the last time you had to make a major purchase? You had to buy a house, a car, a new TV, or a refrigerator? Or was it a major repair to your house, air conditioner, or auto? Whatever it was, you had an experience, and it resulted in either a positive or negative response. I know, for me, over this past year we had to get a new car (I can hear the groans already). While I enjoy looking at all the new vehicles, my charming bride of 36 years hates car shopping! I was given very specific marching orders. “Go look at anything you want to look at or test drive, get it down to the two you like, and let me know.”My very no-nonsense accounting wife was very direct. So …. I was a kid in a candy store visiting dealerships and narrowing down my choices. The only annoying thing was the routine of every salesman wanting my phone and email so that they could ‘follow up’ with me and keep me posted on current and future deals. And then the several dozen phone messages and emails that were sent, thanking me for visiting the dealership and reminders of, ‘are you ready yet’? documents were probably the best experience we’ve ever had, and was quick and seamless, unlike other past experiences involving purchases of this kind, where we spent hours waiting to sign sales contracts.